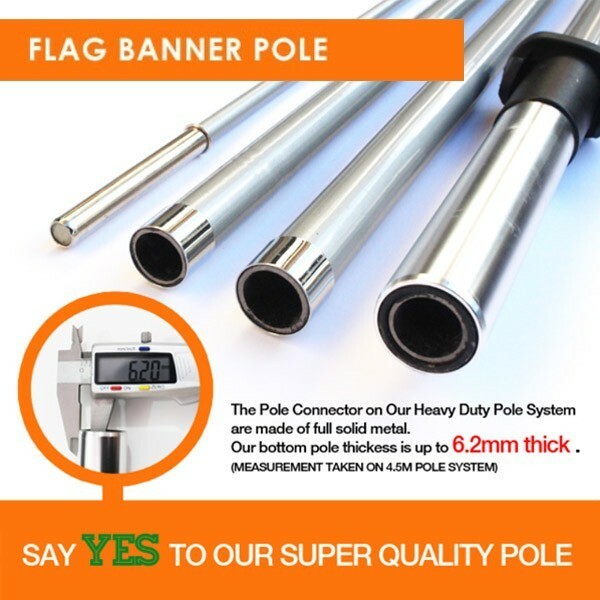 Flag Banner Online supplies Top Quality Flag Poles , which are made of High flexible glass fiber material, The connect joints are re-enforced by stainless steel metal. We use high quality flexible glass fiber material on the top pieces of the flag pole set, to make sure the flag shape is perfectly supported. Super thick poles at bottom to make sure your flag can stand up in windy area. We are the original flag pole manufactor and supplier, we can customized the pole to any specs to your request. Please contact us for any special need. 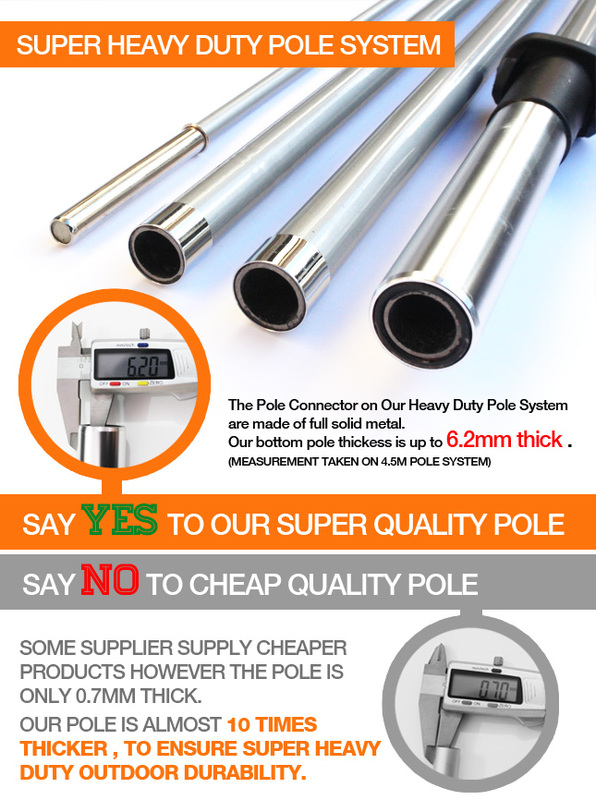 SUPER HEAVY DUTY POLE SYSTEM!! !10 TIMES THICKER THAN OTHER CHEAP FLAG POLES. WE HAVE 4 DIFFERENT SIZE POLE SYSTEMS,WE CAN ALSO CUSTOM POLE SIZE FOR YOU. 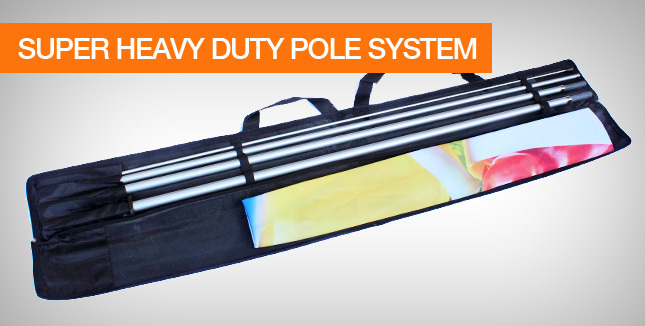 EXTREME HEAVY DUTY POLE, TESTED AND STAND STURDY UNDER 50KM/H WINDS. NEW INNOVATED POLE SYSTEM, ONE POLE SYSTEM CAN BE SET UP AS 2 FLAG SHAPES. CHANGE FLAG SKIN TO SET UP YOUR FLAG BANNER INTO DIFFERENT STYLE SHAPE. FREE FLAG POLE CARRY BAG IS INCLUDED IN THIS LISTING.